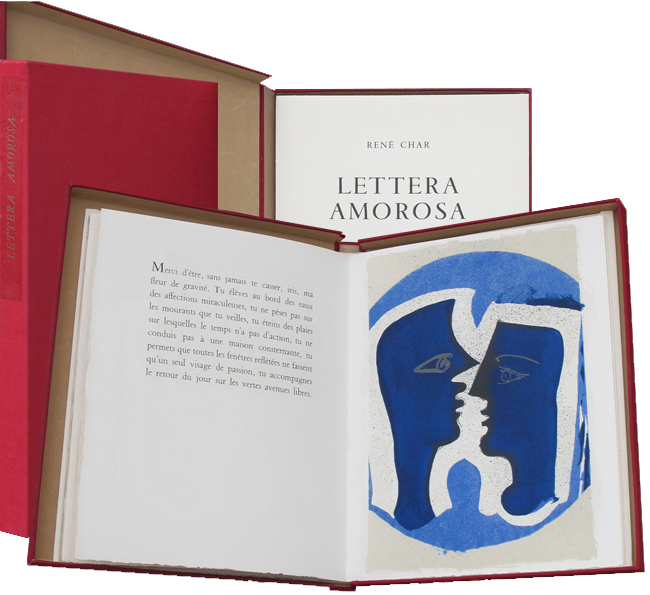 Book, sewn in publisher's wrappers, cloth-covered box printed on the spine. 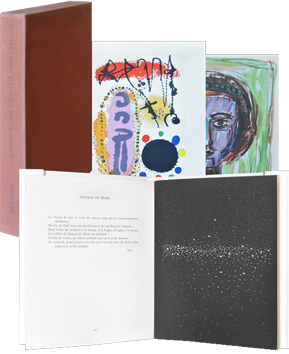 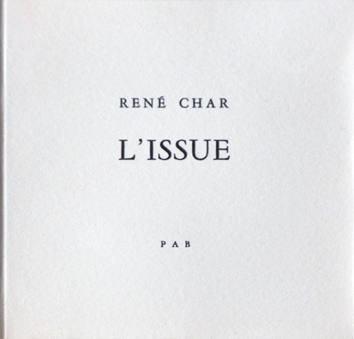 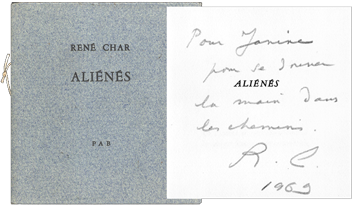 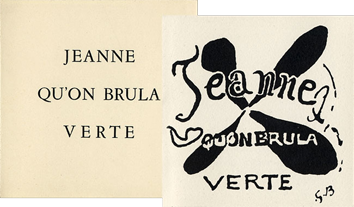 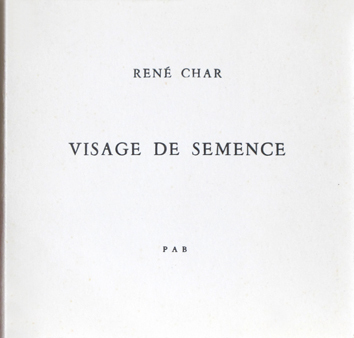 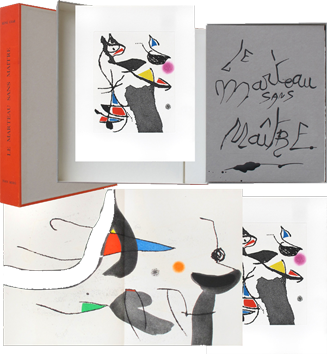 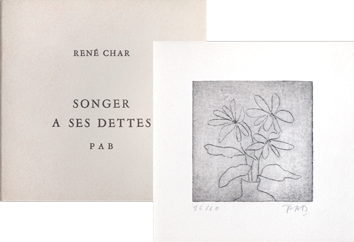 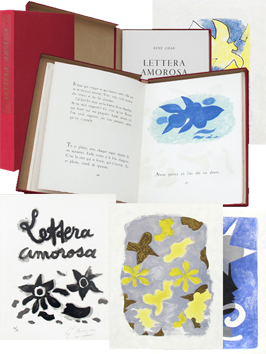 Text by René Char, illustrated with 29 original lithographs (in which 13 in hors-texte, and one in double page), printed by Mourlot. 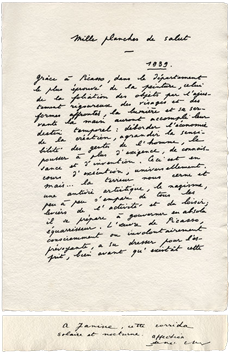 Justification page signed in pencil by he author and the artist. 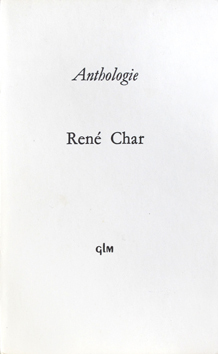 Edwin Engelberts Publisher, Geneva.